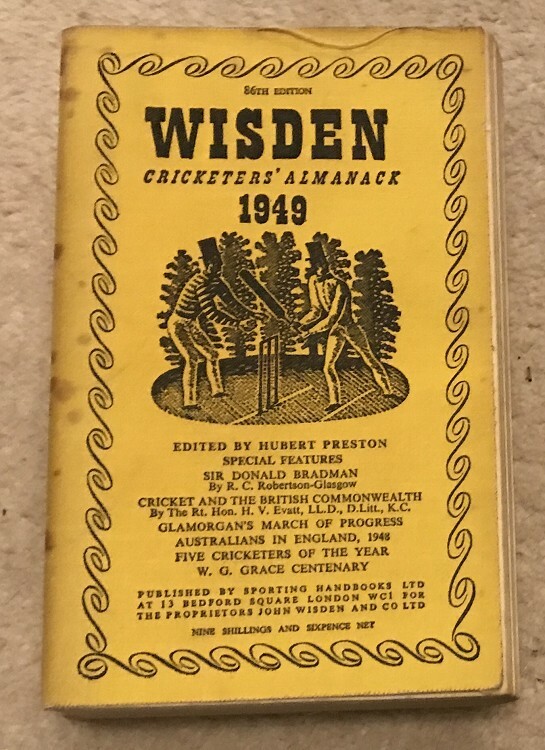 This lot is a 1949 Original Linen Wisden. It is in just Good to Very Good condition. This would be a lovely book if it was not for the heavy spotting to the spinecloth as internally it is very nice only a small spine bow , tightly bound , great inside and covers just a shame about the spine.